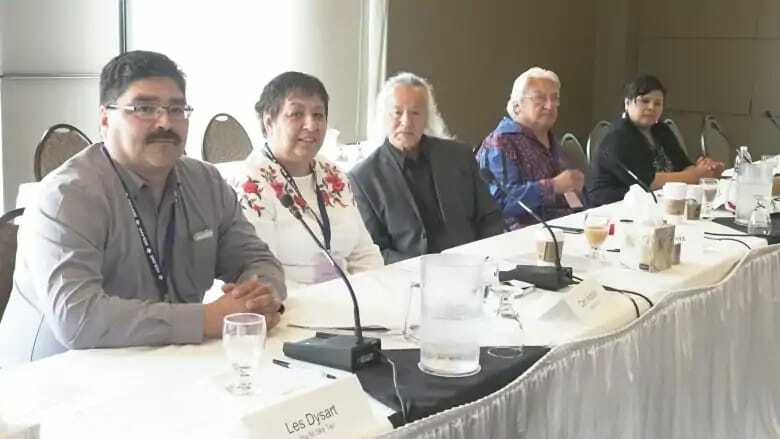 Concerned Indigenous groups asked the National Energy Board this week to take into consideration existing and future impacts and treaty rights when considering whether to OK a new hydro transmission line between Manitoba and Minnesota. Friday was the last day of the oral traditional evidence hearings in Winnipeg on Manitoba Hydro's Manitoba-Minnesota Transmission project. The international project will connect Manitoba Hydro's Bipole III transmission line to Minnesota and increase the province's electricity export capacity to 3185 MW from 2300 MW. During the hearings Indigenous groups brought forward concerns and evidence of environmental degradation and restricted access to traditional lands. Ramona Neckoway, a member of the Nelson House First Nation, talked about her concern about the scope of Manitoba Hydro's application to the NEB. "It's only concerned with a narrow 213 km corridor and thus it erases the histories, socio-economic impacts and the environmental degradation attached to this energy source," said Neckoway. Prior to the hearings the board stated it did not intend to assess the environmental and socio-economic impacts of upstream or downstream facilities associated with electricity production. However, the board did hear evidence from upstream and downstream affected communities despite objection from Manitoba Hydro lawyers. "Manitoba Hydro objected to us being here, saying that we are irrelevant, but we are not irrelevant," said Elder Tommy Monias from Cross Lake First Nation. Manitoba Hydro representative Bruce Owen said, "We respect the NEB hearing process and look forward to the input of all interested parties." The hearings provided a rare opportunity for First Nations communities to voice their concerns about the line on a federal level. "One of the hopes is that this project can't be built until a system-wide assessment is made," said Dr. Peter Kulchyski, an expert witness for the southern chiefs organization and professor of Native Studies at the University of Manitoba. The line is already under construction on the American side of the border as the NEB public hearings continue until June 22 with cross examinations and final arguments from Manitoba Hydro and intervenor groups. The NEB's final decision on the Manitoba-Minnesota transmission line will be made before March 2019. Will Israeli power supply competition bring cheaper electricity?